Okay, get ready for a lot of photos! 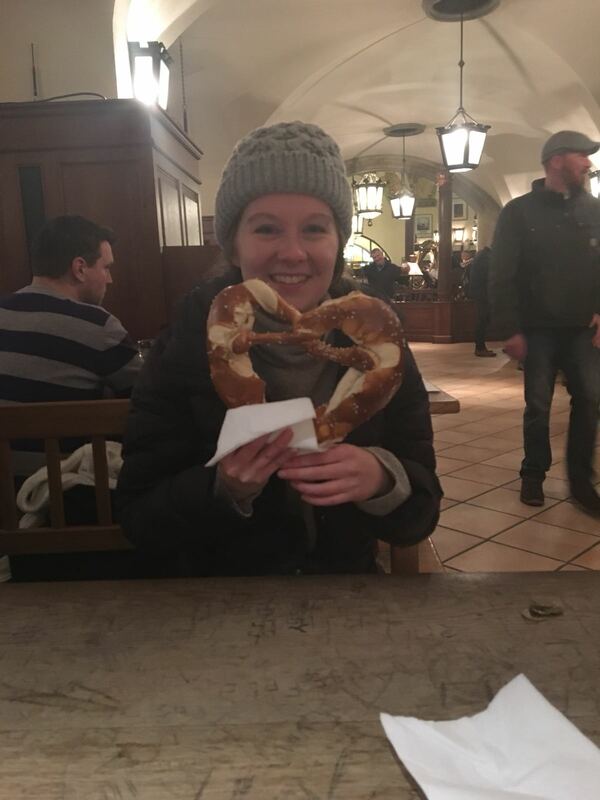 This past week my housemate (Naomi) and I hopped from Salzburg, to Munich, to Prague. We took the Flixbus everywhere (would recommend) and stayed in hostels in Salzburg and Munich. A fellow Whittie was kind enough to let us stay with him and his host family in Prague (shout out to Lukas Koester and his host dad, Radim)! 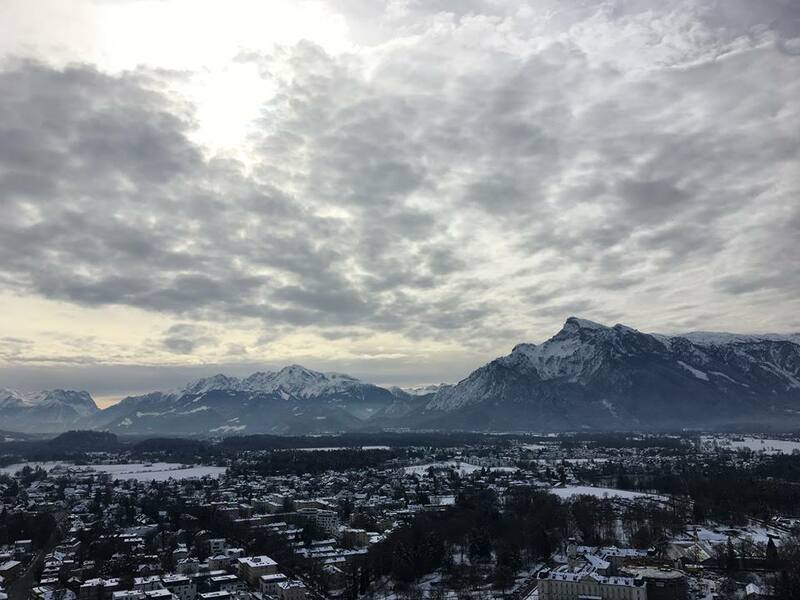 We arrived in Salzburg on Monday, and while the town looks much different in the winter, the hills were certainly alive with the sound of music. We explored the house where Mozart was born, the Mirabell Palace (where parts of the Sound of Music were filmed), and bought brioche buns at the oldest bakery in Salzburg which dates to the 12th century. My favorite part of the journey was our trek up the hillside to the Hohensalzburg Castle. Construction of the castle began in 1077. From what I understand, the castle was home to a series of Prince-Archbishops until the 19th century. 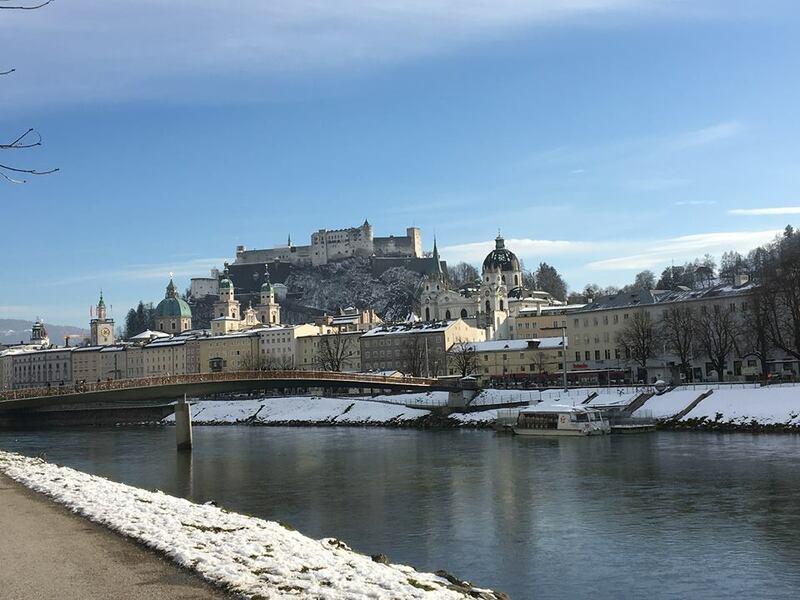 Numerous additions and repairs have been made over the years, but the Hohensalzburger remains one of the largest and best-preserved Medieval castles in Europe. There were a few museums inside, some including incredibly old original castle objects such as torture devices, coins, and pottery. There was also a tour which led us to the top of the castle lookout tower, revealing a breathtaking 360 degree view of Salzburg. Many stairs were climbed during our castle expedition and we returned to our hostel exhausted. We woke up the next morning at 6 a.m. to catch our bus to Munich. 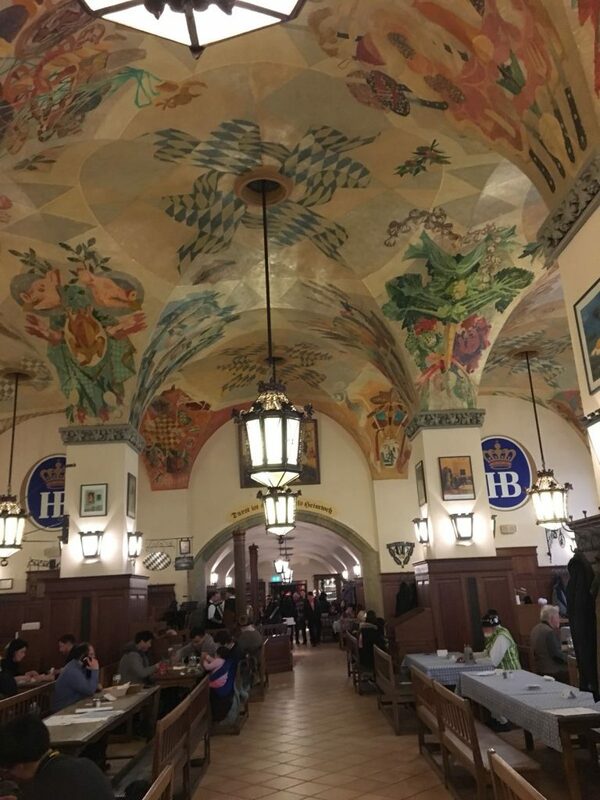 We were only in Munich for a day, but we managed to walk 10 miles, explore downtown, the outdoor market, multiple churches, an infamous pub, and the old royal palace. 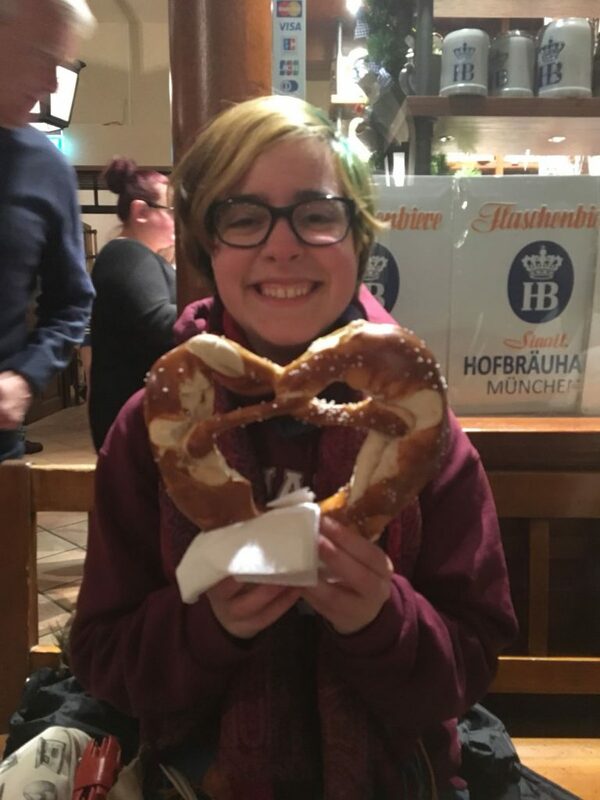 We also, of course, bought pretzels because going to Germany doesn’t count until you’ve had a pretzel. 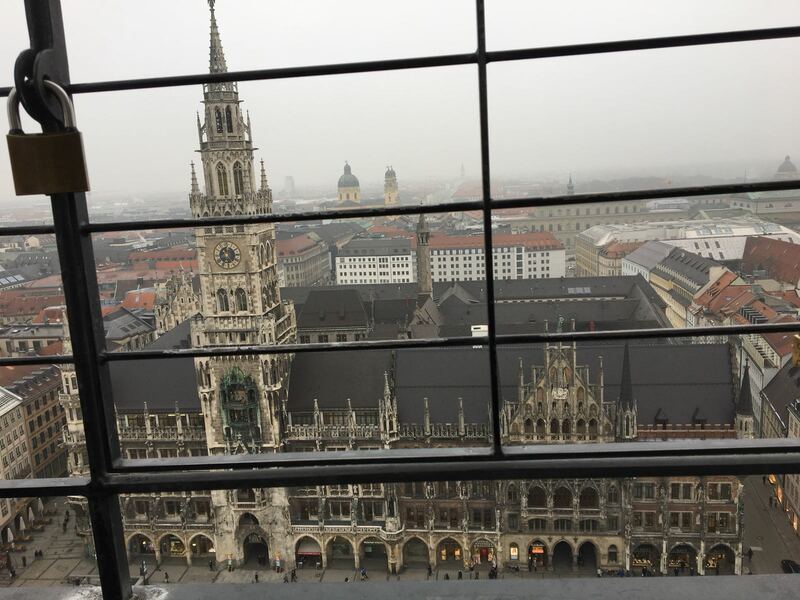 Munich was certainly worth seeing and I’d love to return for a longer stay sometime. After our single night in Munich we took yet another bus to Prague. We were lucky enough to stay at the edge of the city with Lukas Koester, who is studying film in the city, and his host dad, Radim. It was certainly an interesting experience. We tried traditional Czech food and ended up in a drumming circle in the back of a tea house/hookah lounge on our first night. After that we had two full days to explore. 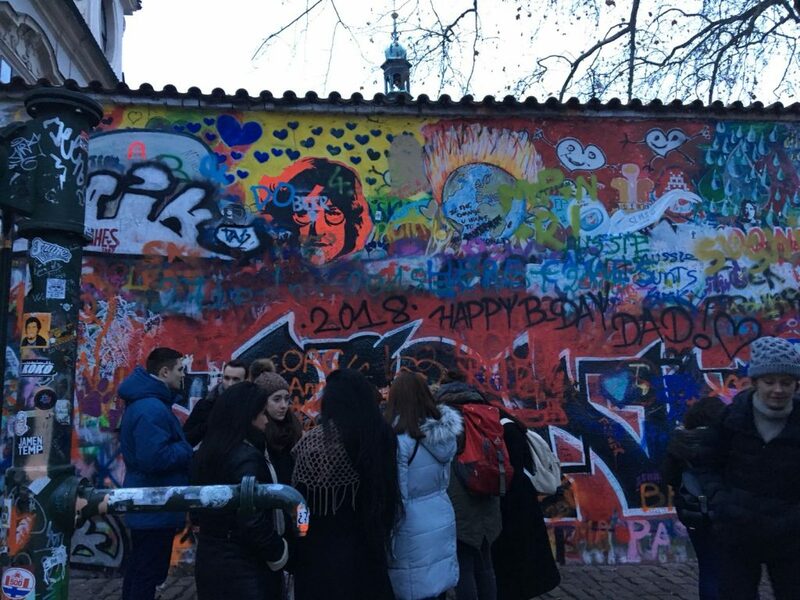 We crossed Charles Bridge a few times (the foundation of which dates back to 1357), and walked around Old Town as well as part of the Jewish Quarter. Prague is rich with Jewish history and the Old-New Synagogue which we visited (and which opened in 1270) was surprisingly well preserved. We stopped for lunch at a traditional Czech place and tried fried cheese, bread dumplings, and potato dumplings. We met up with another housemate, Abbie, and ended up at the Franz Kafka museum toward the end of the day. Weirdly enough, I found out that Kafka belonged to the same intellectual society as Einstein. Rudolph Steiner, whose philosophy shaped Waldorf education, was also part of this society. I attended Waldorf school for 9 years, so I was pretty stoked about that. After our museum excursions and a brief visit to a wonderful Gingerbread store, which was nothing short of olfactory heaven, we headed home for the night. 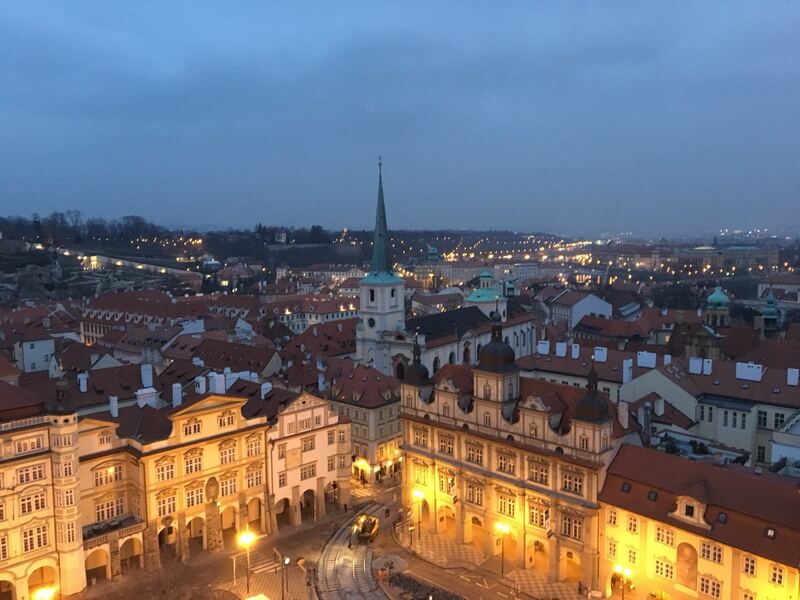 During the second day we visited Prague Castle which houses the breathtaking St. Vitus Cathedral as well as Kafka’s old house and the Lobkowicz Palace. The Palace contains hundreds of medieval relics (art, armour, torture instruments, musical instruments, etc.) as well as original manuscripts of Mozart and Beethoven. I may have shed a tear when I found the score for Beethoven’s 5th, but luckily my housemates are also musicians so no one mocked me for it. 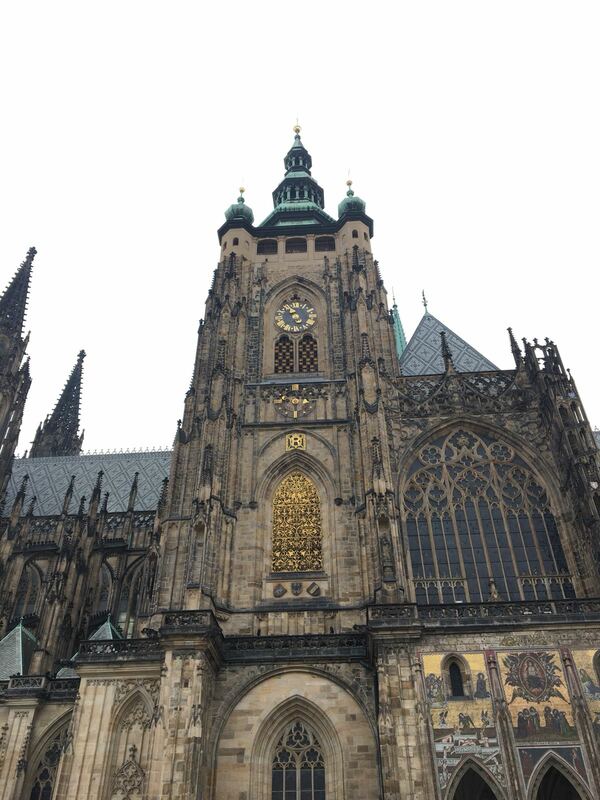 Prague Castle is also home to many other attractions and would probably take two full days to explore. Unforunately, we only had one and we headed home after poking around for 5 hours. We made it back to Vienna on Sunday and began classes today! It’s gearing up to be a busy semester, but even after exploring three other amazing cities, there is nowhere I would rather be. I also have noted three different European phenomenons which appear to be unbounded by country borders. The first is PDA. Good lord, I have never seen so many public, tongue-y makeout sessions. Frankly, I’m not a fan of it, but hey, at least people are having a good time. The second phenomenon is fuzzy sleeping bags in strollers to keep children warm. They are adorable and appear to be effective. The U.S. should really catch on to the trend. The third is Billa, a grocery store chain, which stood as a pillar of familiarity and comfort in every city we visited. Anyway, I am at about a thousand words (which for some reason is very easy to write unless I am working on an essay) so I should probably stop typing due to the fact that most people proabably just skimmed the pictures anyway. I still promise to deliver a blog on cheese. It will happen, eventually. I just keep forgetting to take photos of the cheese before I eat all of it, so as a result I have only photographed two of the cheeses I have sampled. Someone told me that there are four types of tourists: the traveler, the shopper, the partier, and the foodie. 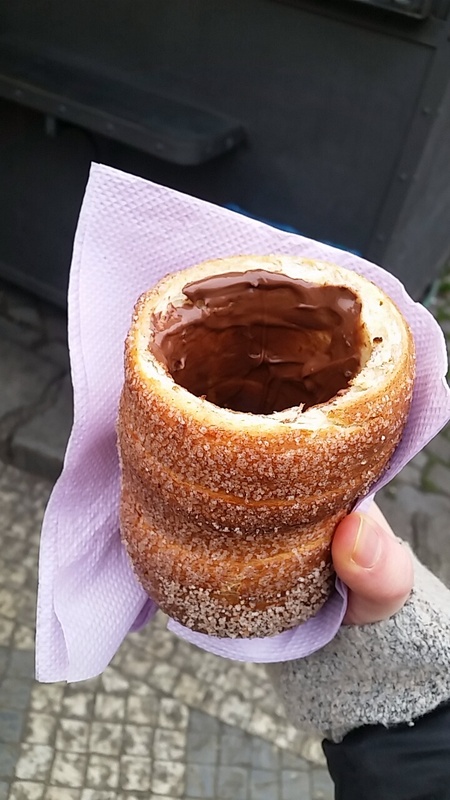 I originally thought of myself as a traveler, but I’m starting to think I’m also a bit of a foodie. Anyway, that’s enough for now! What a vivid and well written narrative. I felt as if I had been along on the trip. Right down to the Billa stores. Yes, I remember liking the fact that they were reasonably predictable, so there was at least on place to find specific items with some consistency. You are a very fine writer.